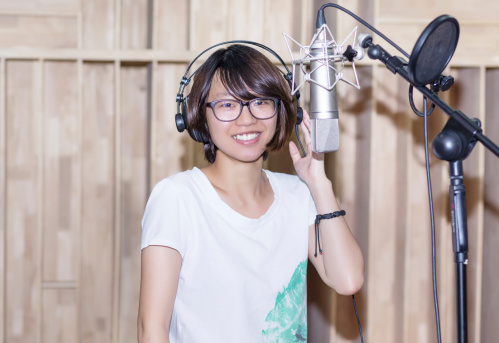 Adults aren’t the only ones capable of having voice talent – there are lots of extremely gifted kids out there that have also successfully broken into the VO industry. And really, it’s not a whole lot different for kids to get into voice over than it is for adults, other than they need to have a parent or guardian acting as manager. If your child is interested in starting their career sooner rather than later, and voice over is their chosen path, here’s what you need to do. The first step in getting your child involved in voice over is hiring a voice or acting coach. While your son or daughter may have tons of natural talent, they’ll still need voice training to learn how to use their gift. Things like projection, enunciation, and other voice-related skills will be studied and practiced, and acting chops will also be evaluated. A voice over actor doesn’t JUST read off a script, after all. Pro tip: Look for an experienced coach that specializes in working with children. A demo is your child’s “headshot” that will be used to find an agent or land jobs. The demo should consist of five or six different clips (samples) of your child’s work. While you want to include a range of VO examples, don’t go overboard and put in every little snippet that you think sounds great. Be selective, and choose only the samples that show a true representation of your child’s talent. The entire character demo should be no more than 90 seconds long - shorter, if possible. Those searching for talent are often only willing to listen to 8 - 10 seconds of each demo before listening to the entire demo. So be sure to place your strongest, most convincing clips up front. Something else to consider is whether or not to hire a talent agent. If you do want to do this, you’ll want to send your child’s demo out to a few different reputable agents, and preferably those that work with children. An agent can help match your son or daughter up with gigs, as well as help you market yourselves more effectively. Speaking of marketing, whether you hire an agent or not, you’ll want to do some advertising. This can be in the form of a website or social media page (Facebook, YouTube, etc.) that showcases your child’s talent. Networking is always a good idea. Attending workshops and seminars – especially those geared toward children – can help you get your foot in the door.